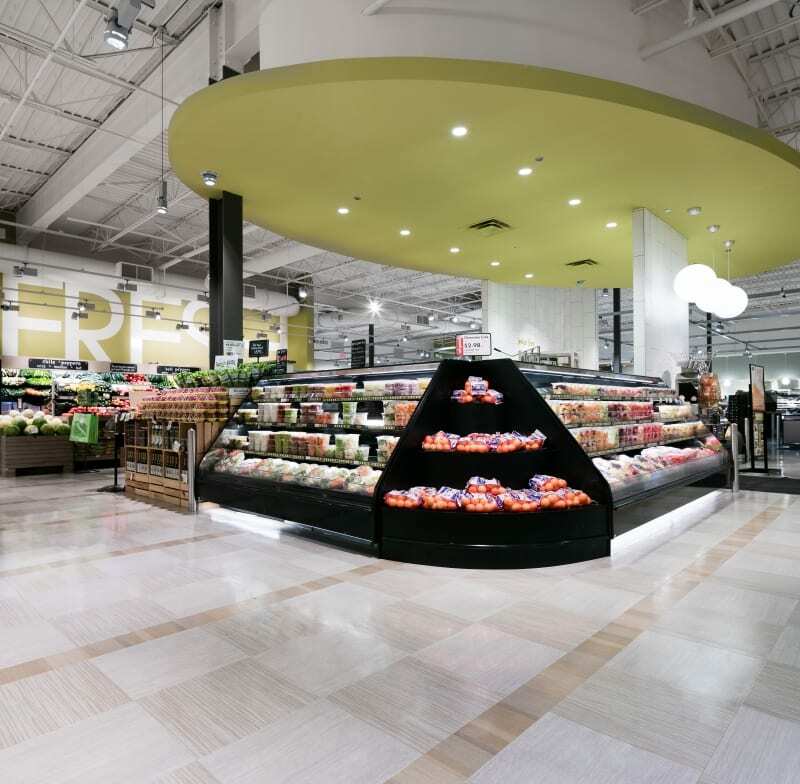 A neutral, multi-tonal design gives the space a clean, open feel, with bright green accents spotlighting each department. 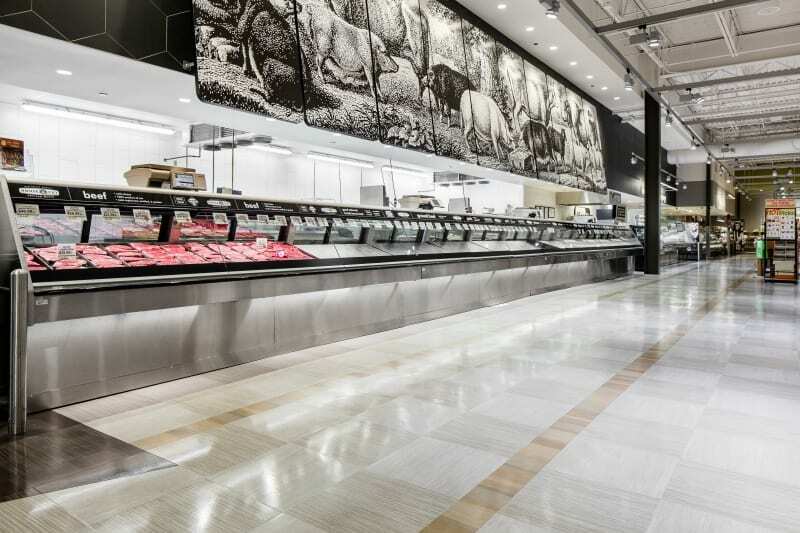 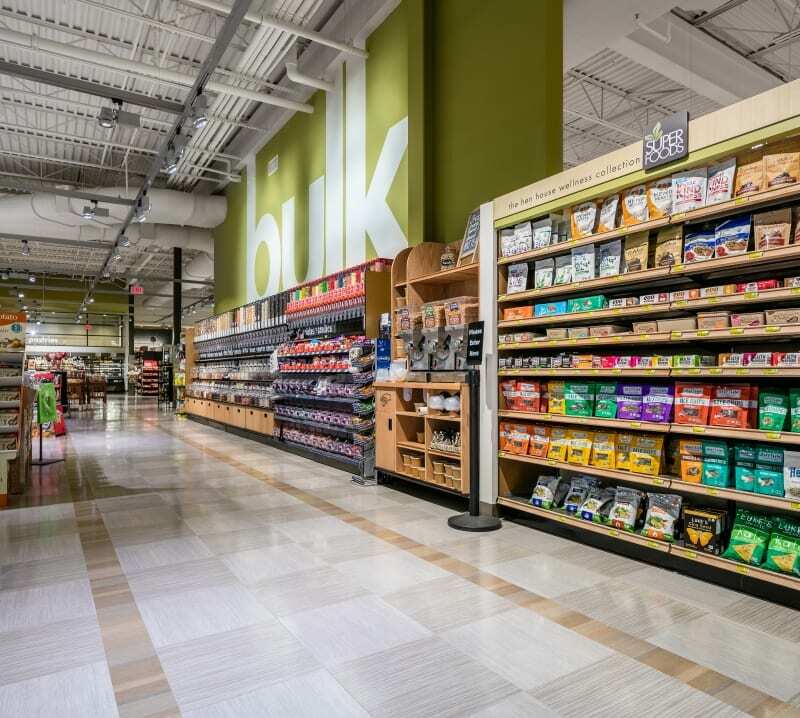 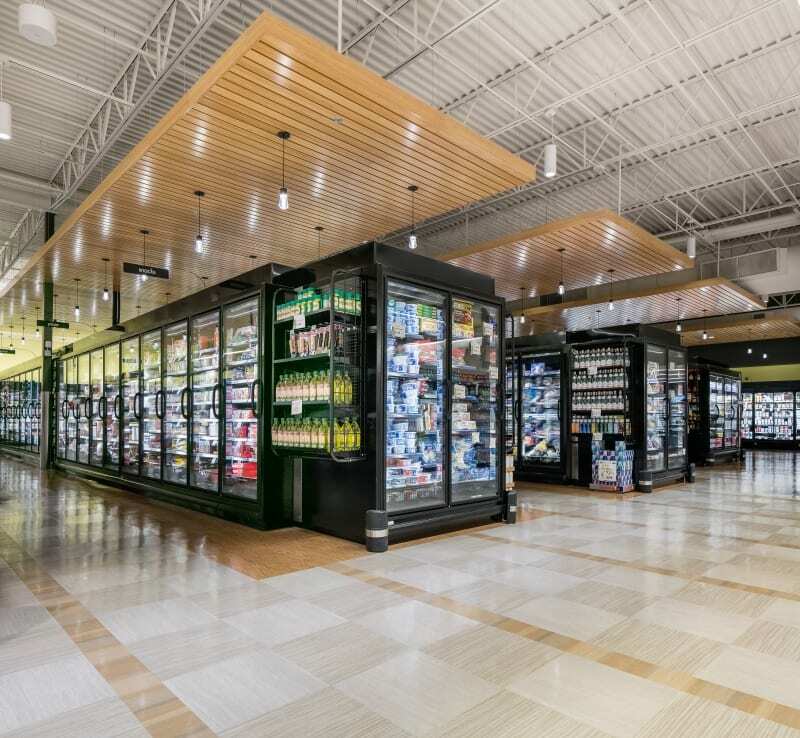 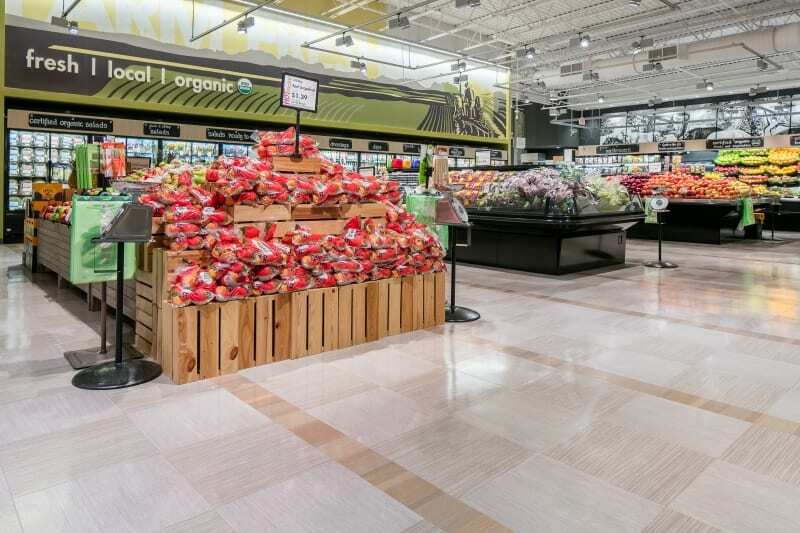 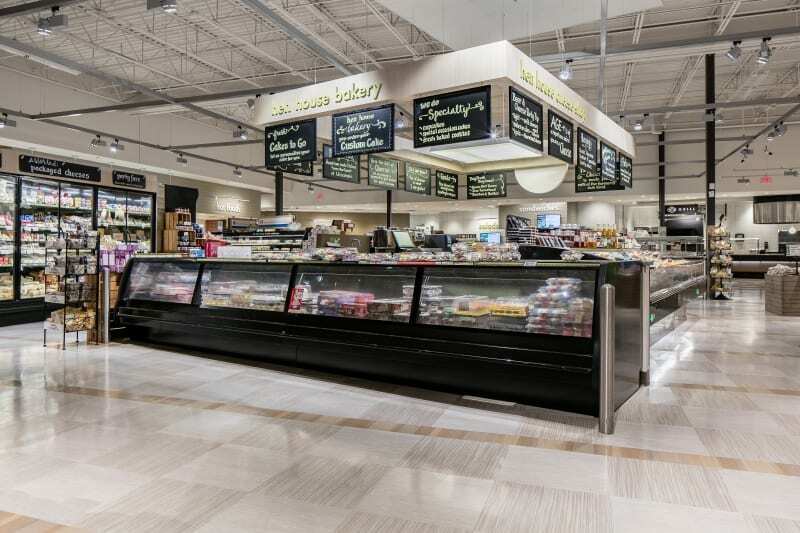 Armstrong Natural Creations LVT (Luxury Vinyl Tile), installed with repeating patterns and textures, create the illusion of wider aisles and add graphic interest to the space. 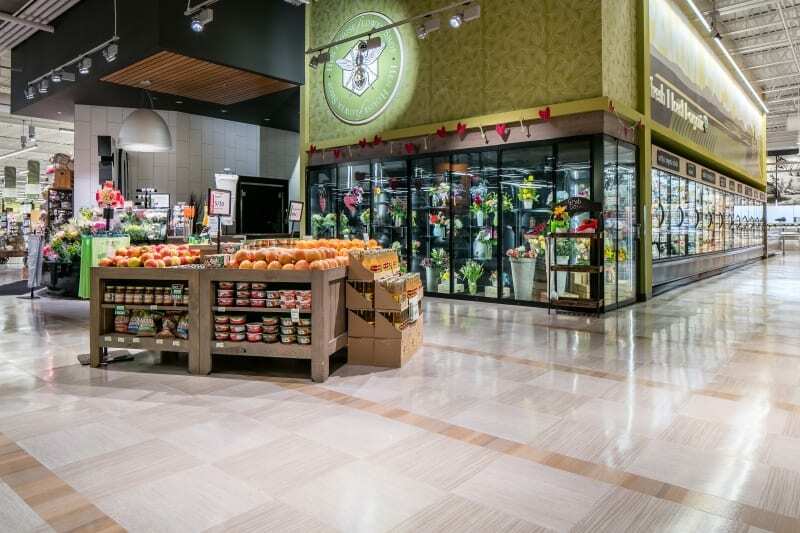 The newly designed Ball’s Hen House in Leawood is the perfect combination of innovative design and the passion of its owners to make a shopping experience customers love.